cut back on caffeine a little bit. 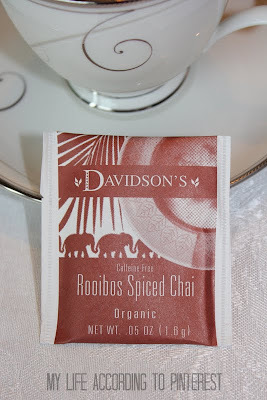 My favorite kind of tea is chai tea so I was very happy that I got to try out Davidson's Organics Rooibos Spiced Chai. 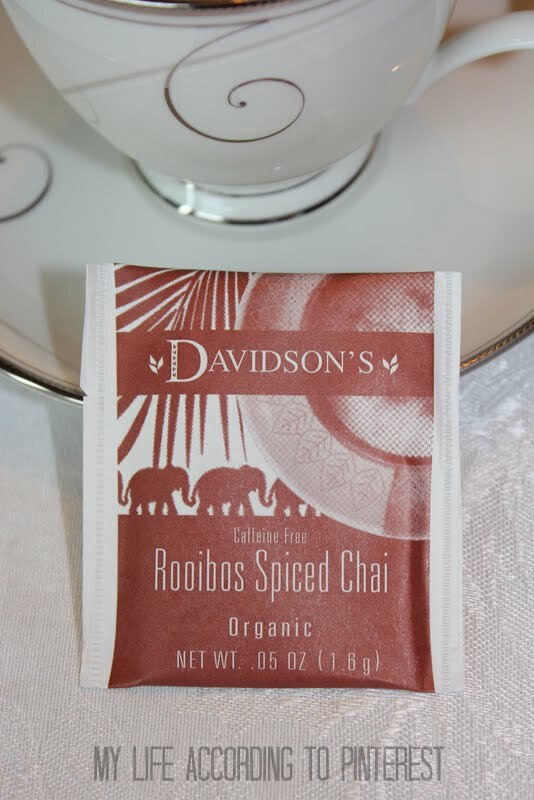 From Davidson's Organics: "Rooibos ("red tea") is harvested from shrubs grown in the high elevations of the cape regions of South Africa. 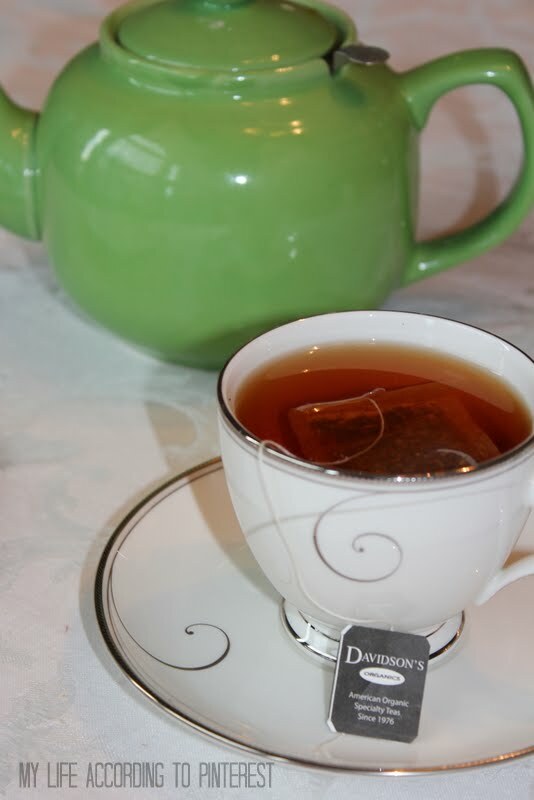 Rooibos has a full-bodied, rounded character, a slight sweetness, and blends well with green tea, black tea, other herbs and spices. Enjoy this red tea based chai with just the right hint of sweetness and spices. Delicious with milk and sweetener. High in vitamins, minerals and antioxidants, Rooibos is well-known for its numerous health benefits and calming effects." I really enjoyed this tea. It was spicy and tasty. I could drink it plain, but with a packet of Splenda and a little half and half it was divine. I absolutely love that this is caffeine free too, so I can enjoy it in the evening. Sometimes, I really feel like eating when it hits about 9 p.m. and now I can curb the cravings with a cup of tea. Nature's Bakery Fig Bars are so delicious. They reminded me of Nutrigrain Bars but BETTER and healthier. Nature's Bakery Fig Bars are made with quality ingredients- and you can pronounce ALL of them- I promise! These all natural snacks are cholesterol-free, dairy free and kosher. Plus, they're DELICIOUS! They come in lots of different flavors including: Apple Cinnamon, Blueberry, Whole Wheat Fig, Raspberry, Peach Apricot, Vanilla Fig, and Vanilla Raspberry. I tried almost every flavor and I can honestly say I liked them all, but my favorites were Blueberry and Apple Cinnamon. These were the perfect companion to my Chai Tea and I felt good about having a healthy and nutritious snack instead of the usual tea and cookies!